This friendly, intimate hotel is on the edge of the city. Its decor, in which natural elements blend harmoniously, makes it very attractive. 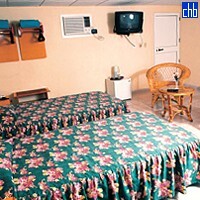 Share its many day and evening recreational offers with friends in an informal atmosphere. 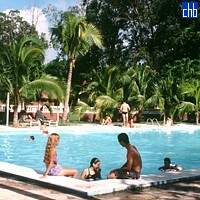 It, too, offers trips to places of historic importance, such as the home of Serafín Sánchez and the Mayor (Great) Church. Go a little farther, and you can visit the city of Trinidad, a part of world heritage. Evenings sparkle with enchantment in the villa’s cabaret. 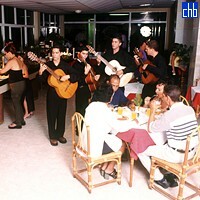 It offers Cuban and international music, supported by its dance ensemble and local singers.